When starting a business of any type, whether photographic or otherwise, it is vitally important to be clear of the objectives, and aware of the potential problems. To this end, writing a business plan should always be a priority. An efficient business plan covers a number of important issues. In the first instance, it should describe the nature of the business in question as fully as possible. This description should include reference to the work the business will carry out, as well as the strategies by which it will aim to meet its objectives. It should also demonstrate an awareness of the market in which the business will operate, including knowledge of its immediate competitors, and a realistic forecast for the business’s finances. The purposes of writing a business plan are manifold. Frequently, business plans are thought of as useful only in securing business capital from third parties such as banks or independent investors. While such a document will undoubtedly by necessary if financial backing is sought, any business start up should also prove invaluable even if it is used only within the organisation itself. In these instances, a good business plan will be able to demonstrate the potential problems that may be faced by the business, as well as detailing strategies that could be used to overcome these problems. Perhaps the most important part of any business plan is the executive summary. This section appears at the beginning of the document, and provides a concise overview of the business. If you are seeking capital for your photography business, this is the part of the plan that should serve to entice potential investors. It should give an honest yet appealing overview of the highlights of the rest of the plan. When writing a business plan hyperbole should be avoided, and this is particularly true here; it is better to be honest than unrealistic, particularly as investors will be able to see through hype very easily. The next section of the plan should outline the nature of the business, including any relevant history. If your photography business is already trading, you should give details of the progress that has been made up until this point. Furthermore, this section should also give details of the legal and financial structure of the business; further information on this aspect of business start up is available in other articles on this site. This section should also go on to detail the products and services that your business will be offering. You should give particular thought to what makes your offerings unique, and how these fit into the existing market in which your photography business will be operating. 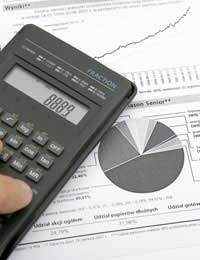 Later in your business plan you should also include detailed financial projections and forecasts. Depending on the nature of your photography business and the nature of the funding that you are seeking (if any), you should include projections for either three or five years. These forecasts should demonstrate that your business will have a sufficient cash flow to operate on a day to day basis; if this is not the case then you need to seriously rethink your business model. You should also provide a realistic prediction of your profit and operating costs, as well as your sales forecasts. There are a number of independent and governmental organisations that can offer support and advice when writing a business plan. This is a hugely important document; as such, you should consider contacting some of these organisations if you are unsure how to proceed.